Hope everyone is doing well. I'm trying to figure out a wheel rub issue; I think I've got it figured out, but I was hoping someone can confirm my facts for me (images attached). So it appears I have a Corvette wheel on the rear AZ code? I haven't take the tire off to measure yet, but that's next. I have 245/60/15 tire on there and it rubs on the fender whenever i hit a decent bump. I think this wheel has a 4" backspace and I probably need 4 1/2" bs? Also; can i run that same size tire with the correct wheel size? 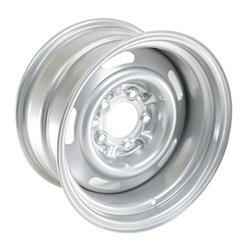 The AZ wheel is a 15X8 with a 4" backspace. I had the same wheels with the same size tire on the rear and had the same rub you're getting. No matter the tire size, with that wheel you will get rub on the fender lip unless you maintain sufficient height clearance. I Craigslist'd my AZ wheels and picked up a set of 15X8's with 4.5" BS which fit perfect. The 245's will be a good fit with the new wheels. You can check out pics in my sig if you're interested. These are the wheels I purchased. If you're in the market for tires, you could probably fit a 255 in the rear without rub, but I make no guarantees. I may go that route on my next set set of tires, but that may take another 5 years or so. 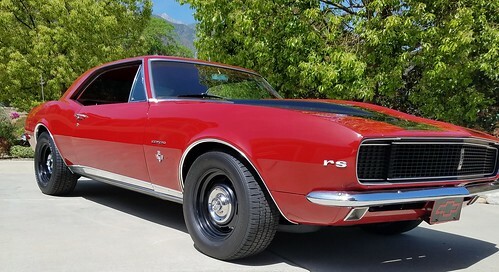 Great looking RS, Mike - thanks so much for your help. I'm going to try the 255's in there... If they don't fit, I'll just blame it all on you... lol. New BF Goodrich 255's came last night from Discount Tire Direct. Wheels are coming Monday from Summit and I'll send you a shot of them once mounted. Have a nice Easter all! Yep. Post 'em up. There are a few previous posts with guys running that set up with no rubs. I think you'll be good. 255/60r15 no problem in rear with 4.5 bs edit- I see you have a 69, I'm running this size on a 67 with no problem.